Even those who don't drink, respect. 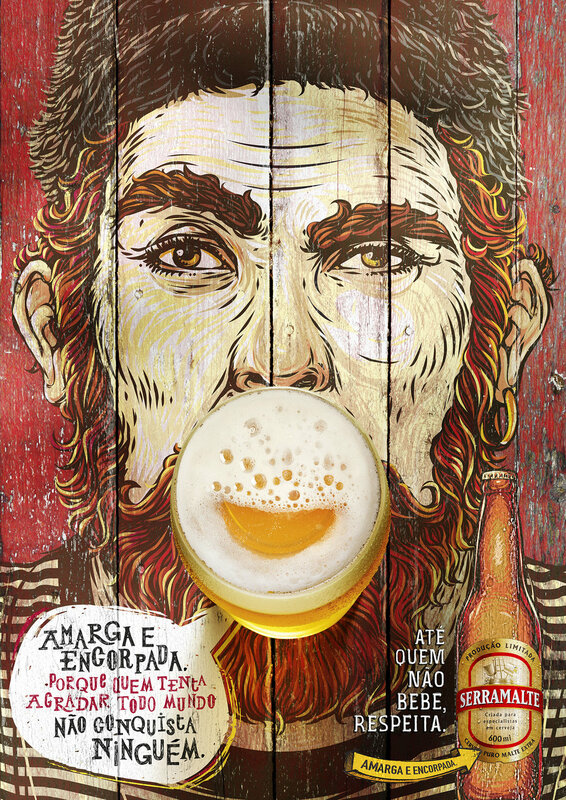 Serramalte is considered one of the best single-malt beers of Brazil. "Serramalte must be proud for being full-bodied, bitter, intense, full flavor". which set the tone for the whole campaign. // It’s fine if you prefer other beers. After all, Serramalte is bitter, not vengeful. // Serramalte is not a question of taste. It's a question of time. // Serramalte is for your taste or not. And that is fine. // It’s not your typical beer. But then again, neither are our drinkers. // Bitter and bold. Because who tries to please everyone doesn't conquer anyone. // The only place you’ll never find a Serramalte drinker is on the fence. // When you ask for a Serramalte. She delivers. 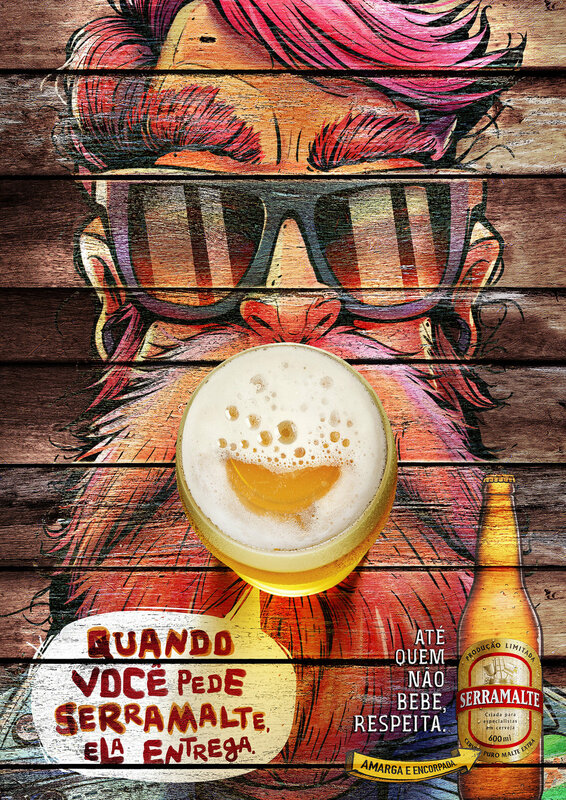 // Serramalte is not the best-selling beer in Brazil. Nor does it want to be. // If Serramalte was a football player. He would never play for a tie. // If they ask you to drink one Serramalte. Don't take literally. // Nobody as for a serramalte by mistake. // A beer that's everything but beige. // It just takes one sip to recognize its flavor. And then many, many more to feel satisfied.